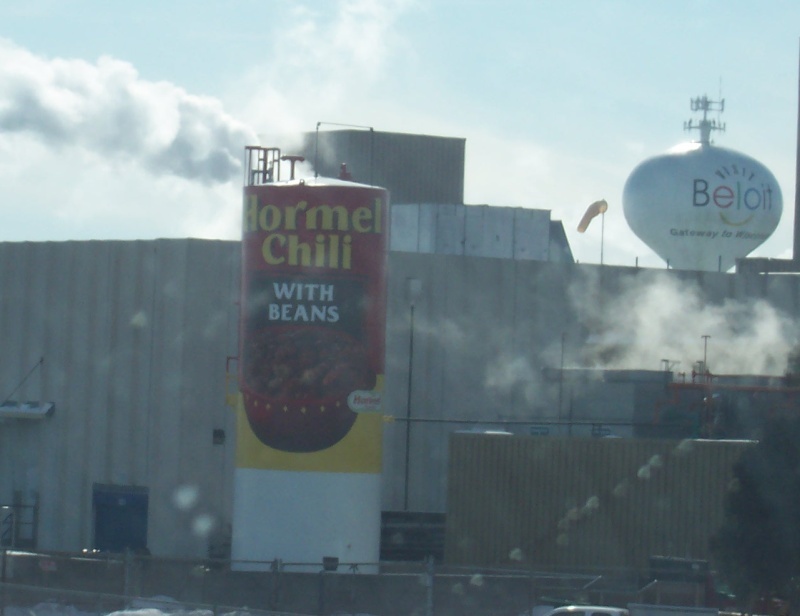 The “can” is part of the large Hormel plant in Beloit, which cranks out plenty of chili and other meat products here. How much chili can fit inside that “can”? We’ll try and find out!